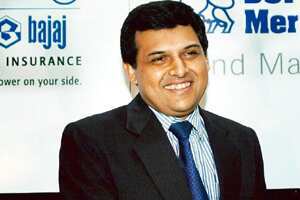 Mumbai: The financial services flagship of Reliance-Anil Dhirubhai Ambani Group (R-Adag), Reliance Capital Ltd, has announced a dual employee stock option plan (Esop) for its chief executives that gives them equity stakes in the parent as well as its individual business divisions. “Everyone is linked to each other by being linked to the profitability of the parent company," chief executive Sam Ghosh told Mint. This will compel all business units of the company to perform as a team rather than focus only on their individual businesses, he added. Ghosh has an equity stake in Reliance Capital. “This is a way to align individual interests to the interests of the parent company. Besides, these are fledgling businesses and their individual valuations are not known," said an executive from a consulting firm who didn’t want to be named. “Even to attract the best talent in the industry to head their various divisions, they will have to give Esops in the bigger, listed entity that has its valuation benchmarked. To that extent, it is making virtue out of necessity." Reliance Capital has business interests in asset management, mutual funds, life and general insurance, private equity, stock brokerage, depository services, distribution of financial products, consumer and home finance. It reported consolidated net profits of Rs1,009 crore on consolidated total revenue of Rs4,919 crore in the most recent fiscal year. The financial services provider has plans to expand into asset reconstruction, institutional brokerage and banking, its chairman Anil Ambani told shareholders in the company’s annual general body meeting on 16 September. “Nearly 400 employees are proud participants in this programme. This will be an integral part of overall compensation for our key people, and will be gradually extended to include many more employees," he said. Reliance Capital would also consider similar stock option plans for its business partners, he added. One beneficiary of the scheme, speaking on condition of anonymity, said the plan has succeeded in creating a “more cohesive group, with significant knowledge transfers. Be it hiring, deals we clinch, costs or whatever, the focus is to optimize performance across the team." R-Adag, through Reliance Capital, is the principal sponsor and shareholder in Reliance Asset Reconstruction Co. with a 49% stake. Others such as Corporation Bank, Indian Bank, General Insurance Co. of India Ltd, Dacecroft Ltd and Blue Ridge have a less than 12% stake in the company that already has three distressed assets on its books, which Ghosh declined to name. “On the private equity front, we aim to raise a $1 billion (Rs4,670 crore) fund by the end of December," he said, adding that a fifth of the fund would come from Ambani’s own money. Outlining challenges for the company, analysts Ashish Jain and Mansi Shah of Morgan Stanley India Co. Pvt . Ltd, noted in a 20 August report that all of Reliance Capital’s key businesses were “capital market dependent." They reported that while it benefited from robust volume growth in 2007 when the markets were strong, “growth has moderated in the last few months." “The continued weakness in market activity can cause growth across businesses for (Reliance Capital) to be moderate, which can drag down valuations," the analysts added.